This morning I decided to use the leftover batter to make an old-fashioned sandwich that I haven't had for years-- a Monte Cristo Sandwich. It's basically a ham and turkey sandwich with cheese, dipped in French toast batter and browned on both sides until the cheese melts. Traditionally, this is served with currant jelly, strawberry jam or cranberry sauce on the side, but I ate my version just plain. I also bucked tradition and used a lovely moist 100% whole wheat sourdough bread that we occasionally by from a local bakery, instead of the usual white bread. The result was very satisfying, to say the least! The origins of this sandwich are a little murky. The Food Timeline website says: "Recipe-wise, food experts generally consider the Monte Cristo sandwich to be a simple variation of an early 20th century French dish called Croque Monsieur. According to several articles published in newspapers and magazines, Monte Cristo sandwiches were first served in southern California and were very popular in the 1950s-1970s. Therin ends the agreement. The who/what/why/where/when behind the Monte Cristo sandwich is still very much a subject of debate. 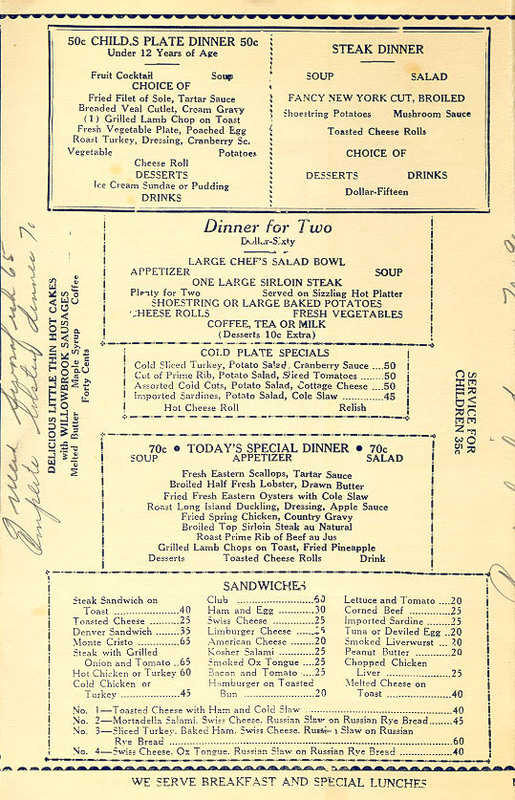 The earliest reference we find to a Monte Cristo sandwich is printed in a 1941 menu from Gordon's on Wilshire Blvd., Los Angles. We do not know how these were made. The oldest recipe we have (so far) for the Monte Cristo sandwich was printed in The Brown Derby Cook Book, 1949. The Brown Derby restaurant is located in Los Angeles, California and is famous for serving Hollywood's elite." "Several popular American cookbooks published in the 1920s-60s published recipes for sandwiches which are essentially Monte Cristos [ham--sliced & deviled/turkey/chicken sandwiches dipped in egg & then fried to a tasty golden brown], under different names." I slathered my own homemade lowfat vegan mayonnaise on one side (use whatever mayo you prefer) and some seedy Dijon mustard on the other. I folded three slices of Tofurky Peppered "Turkey" slices and placed them over the mayonnaise side, and 2 slices of vegan "ham" (a Chinese product this time, but use any type you like) over the mustard side. Top the "ham side" with some white vegan "cheese" (a meltable type-- Mozza Daiya Shreds in this case)-- next time I'm going to try the homemade Vegan Gruyere from my book "World Vegan Feast". Heat a non-stick, or cast iron, or hard-anodized skillet over medium heat, spray with oil from a pump sprayer and add a bit of vegan butter to the pan as well, if you like (no more than a tsp.). When the pan is hot, place the sandwich in the pan, cover and cook for about 4 minutes. Remove the lid and carefully turn the sandwich over. Cook about 3-4 minutes more, or until the cheese is melted and the bottom is nicely browned. Now, cut in half and enjoy while it's nice and hot! A SCRUMPTIOUS BRUNCH FROM "BETTY GOES VEGAN"
You'd better be really, really hungry before you eat a meal like this! I have to apologize for being so silent during the last two weeks! I've been wanting to write this post on the new cookbook "Betty Goes Vegan" for a month, but life keeps getting in the way! I've never met Annie and Dan Shannon, but what a dynamo pair they must be. This project was a huge commitment (good thing there are two of them, is all I can say!) and they can be very proud of their achievement. Their fun and slightly cheeky "Betty Goes Vegan" is not only a massive hit, but it's a massive collection (500 recipes) of comfort-food vegan dishes. For anyone who grew up in North America, with a Betty Crocker cookbook of some kind or other (perhaps a tattered and dog-eared one that belonged to your mother or grandmother; perhaps the 2010 version that the Shannons used for this project), this is nostalgia gone vegan. The Shannons have perfected vegan versions of many all-American favorites, such as biscuits with gravy, fried eggs (yes, indeed! ), brisket and cabbage, German potato salad, Snickerdoodles, and crab cakes, plus numerous international recipes such as the "great English breakfast", Italian Wedding Soup, Ramen bowls, Caribbean black beans with rice, Paella, and lots more. The dessert section is 100 pages alone! So many choices, so little time! I wanted cook a whole meal from the book for this blog post, but it was very difficult to choose the recipes. In the end, I decided to do a brunch menu-- the Denver Omelet (which was a favorite of mine as a teenager), the Creole Potato Wedges, the pillowy-soft-in-the center Garlic and Cheese Biscuits (see photo below). I had planned on doing a dessert, but, to tell you the truth, we wouldn't have been able to eat it! Another time (DH will be happy). The meal was a huge success-- DH loved all of it and everything was quite easy to prepare. And, honestly, your picky omnivore brother-in-law would be hard-pressed to find fault with this brunch! 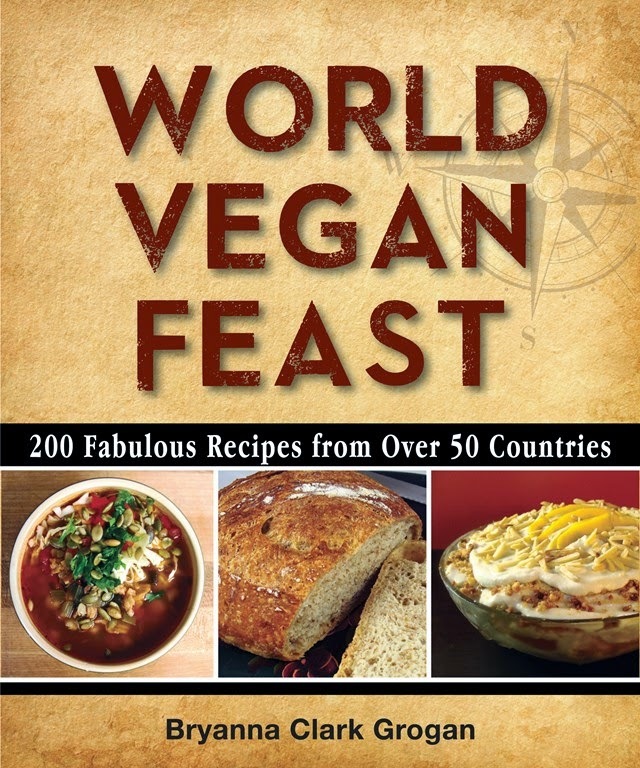 (That reminds me-- BGV would be a great gift for a new vegan or thinking-about-it friend or relative.) Here are two of the recipes I made from this fabulous addition to the vegan cookbook universe, courtesy of Grand Central Publishing. Crispy-on-the-outside, creamy-on-the-inside Creole Potato Wedges and Old Bay Coleslaw with a creamy, spicy dressing accompanied the Vegan Denver Omelet. · First prepare the filling. · Spray your cast-iron skillet or frying pan (I used a 10-inch skillet: BCG) with a light coating of olive oil, toss in a dash of liquid smoke, and place over medium heat. · Then toss in the bell pepper, red onion, and vegan meat. · Fry until the vegan meat browns and the vegetables are tender. · Move the vegetables and vegan meat mixture from the skillet into a large bowl and set the skillet aside. · Keep whatever oil is left over from the vegetables and vegan meat in the skillet for a little extra flavor. · Begin preparing the omelet. In a food processor, blend the tofu, soy coffee creamer, nutritional yeast, cornstarch, onion powder, cumin, miso paste, turmeric, Bragg’s, and paprika until you get a smooth paste. · Here’s where you can taste the blend to see if you want salt or pepper. I tossed a pinch of lemon pepper into one of the omelets at this step and really liked it. · Next, melt 1 to 2 tablespoons of the margarine over medium heat in the same skillet you used for the vegetables and vegan meat. · Now separate your tofu blend into two equal portions. · Once the skillet is warm and the margarine is melted, pour one portion of the tofu blend into the center of the skillet and spread it out like a nice even pancake. · You have to move pretty fast so that your omelet doesn’t form lumps. · Watch for bubbles and cracks. If you get a bubble, try and gently pop it with a fork. Cracks can be smoothed over with uncooked tofu blend. · Let the tofu blend fry for 5 to 8 minutes. During that time, use your spatula to keep loosening the edges. · Once the edges begin to get brown and crispy, gently use your spatula to lift and check the progress of the omelet. 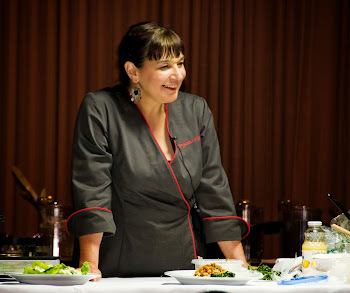 · You want the omelet to be golden and crispy, so make sure you can see that beginning to happen before you toss in your fillings. · Don’t worry if the center is still a little soft. · Make an even layer of half the vegetable and vegan meat filling on one half of the omelet; then top with a layer of half the vegan cheddar and Sheese. · Cook for another 2 minutes to let your vegan cheese and Sheese melt a little and heat the vegetables and vegan meat. · Keep an eye on your edges to make sure they don’t burn. · Now here’s where it gets tricky. Seriously. Take your spatula and flip the empty side of the omelet over the side with the fillings. · Very gently move your omelet to the plate by turning your skillet and slowly sliding the omelet out, using your spatula to guide and control it. · Keep the first omelet warm in the oven while you make the second one with the other half of your ingredients. · To serve, just toss some fresh chives and pepper on top. · This makes 2 pretty huge omelets, or you could always split them into 4 smaller ones. · Preheat the oven to 450°F. · In a bowl, combine the Bisquick mix, soy milk, and nutritional yeast with a handheld mixer until completely mixed. 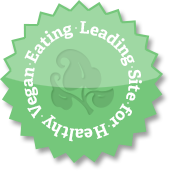 · Stir in the vegan cheese with a spoon. On an ungreased cookie sheet, drop spoon-size clumps. They won’t be pretty, but it’s important that they don’t get too thick or they won’t bake all the way through. 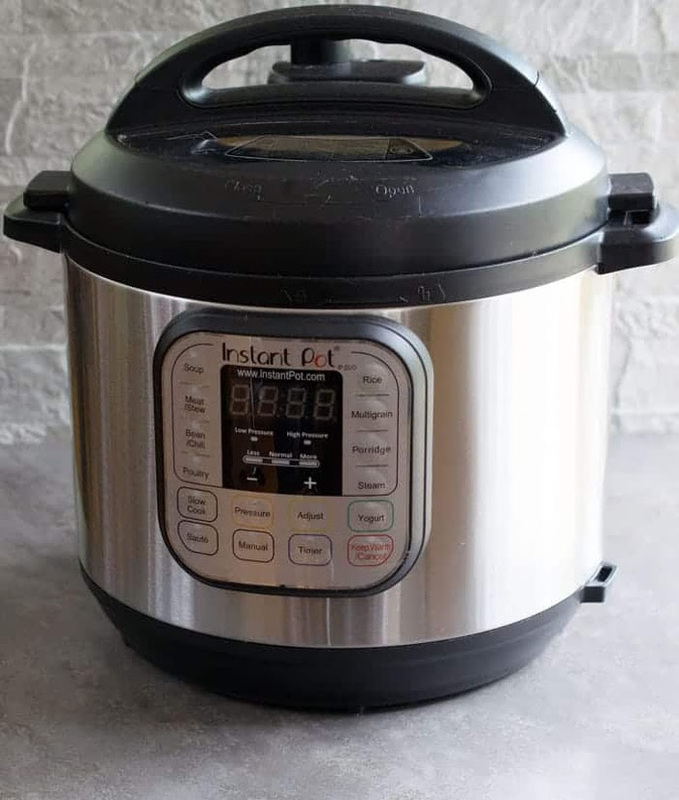 · Bake for 8 to 10 minutes, but keep an eye on them. · They bake fast. Pull them out once they’re golden. · In a bowl, mix the olive oil, garlic powder, garlic, dill weed, thyme, and rosemary. · Brush the warm biscuits with the herbed olive oil. I'm a bit late blogging this week and this will be a quickie blog post, too. Easter, company, family stuff and working on a longer post (cookbook review) got in the way. But, until I get that one done (tomorrow? ), here's a new recipe I'm quite pleased with. Today, I had a couple of ripe pears around and I remembered that blended raw pears made a delicious, creamy dessert sauce. Since pears are a mild-tasting fruit and their fruit is a bit pulpy, but blends down to a creamy texture, I thought it might make a nice thickening for salad dressing, too. I was right, and the resulting recipe is below. NOTE: Though I added a couple of tablespoons of olive oil, I think it would be fine without it. And I think this recipe would be an excellent base recipe for all sorts of variations. I hope you enjoy it. Note: When you are tasting your salad dressing, remember that this is not something you are going to drink-- you are only going to use a bit of it to dress your salad greens. So, it should not have a sharpness that will hit you at the back of the throat and make your eyes water, but it should be full-flavored. Play around with this recipe, using different varieties of vinegar (or lemon or lime juice), different herbs, and other types of oil (if you use oil), such as roasted sesame or nut oil. Blend all of the ingredients together in a high-speed blender until very smooth. Store in a covered jar in the refrigerator. Simple as that! Nutrition (per 2 tablespoons serving): Calories 13.63, Calories From Fat, 7.28, Total Fat 0.84g, Saturated Fat 0.11g, Cholesterol 0mg, Sodium 57.76mg, Potassium 15.35mg, Total Carbohydrates 1.67g, Fiber 0.35g, Sugar 0.91g, Protein 0.1g.